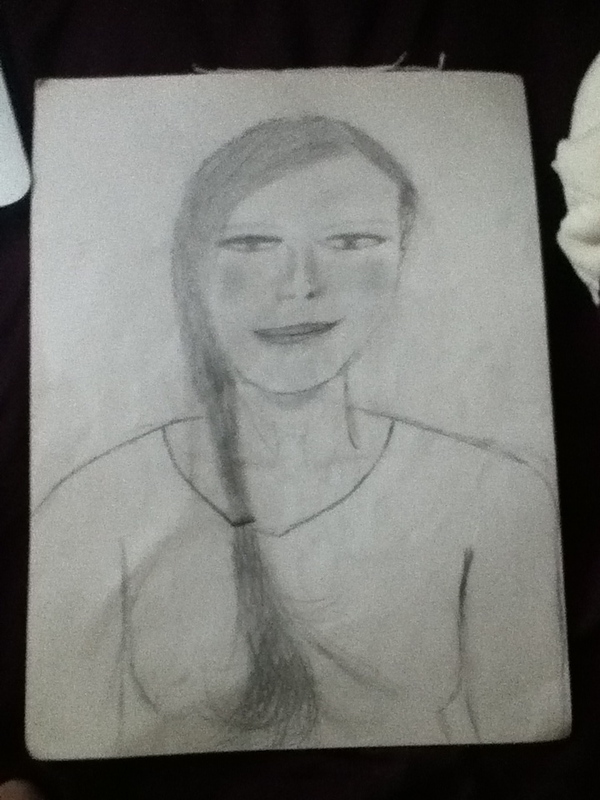 First, all my art (sketches, poetry, etc.) is my art, and is not to be republished without permission. If you want to use it for something, ask, and depending on what it’s for, I may let you use it, or I may charge you and let you use it, or I might just say no. Second, I’ve been thinking about art lately. Mines been improving. A lot. I’m very pleased. My poetry has gotten much better since I started performing at spoken word events. I’ve gotten better at creating the effects I want through shading in my sketches. And I’ve been thinking of other people’s work, and how stuff is classed. 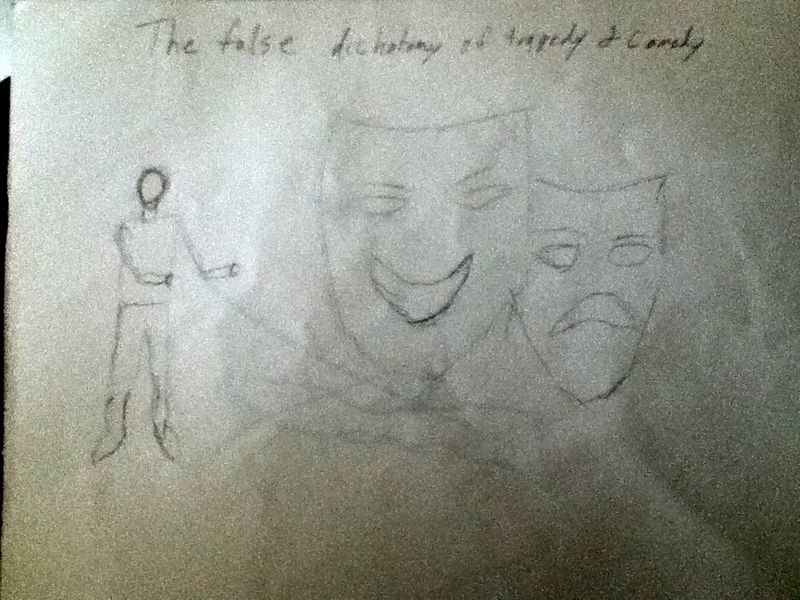 For instance, one of my recent sketches was “The false Dichotomy of Comedy and Tragedy.” Traditional plays are classified as one of those two (more modern would be comedy/drama), and tragedy is seen as the more valid one, replicating other false binaries that people create. Where one is seen as more valid, more worthy, and the other seen as frivolous. But if you look at most tragedies, they have comic relief built in. Lines are always blurred, and many works not only aren’t easy to classify as one or the other, they don’t really have anything to do with either one. This entry was posted on November 18, 2013, in Poetry, Uncategorized and tagged Oppression, poem, Poetry, Radical spaces. Enter your password to view comments. This entry was posted on November 18, 2013, in Poetry, Uncategorized and tagged poem, Poetry, Polyamoury. Enter your password to view comments. I did this at an audition last night. I’m standing on a corner waiting for the walk sign, to get a bite to eat before I go to Walgreens. It’s pretty dimly lit. A cis man bikes up. Dude: you got any weed? Dude, quizzically: wait, are you a female? Dude, disbelieving: did you do that to yourself??? And that’s when I turned and walked away at full speed, skipping the meal, and going back towards Walgreens. I was shaking for 2 hours afterward. Well, that was a fucked up dream. I was myself, but only some people saw me as such, living back in Alabama. I was riding in a truck with some folx, only one of which I knew, This one guy kept grabbing my thighs in a sexual way, and I kept telling him to stop, so I got kicked out, and I was stranded in Prattville trying to get home to Montgomery. I Finally wandered down to the walmart, (which looked like one of the ones in Montgomery, but context said it was in Prattville) and saw two people I knew from high school. For some reason, both of them saw me as a guy, and when I was telling the story of why I needed a ride, I inadvertently came out as bi, like it was no big deal. One of them, the one that was always cool to me, even though he would never say something like this, said, “I wish I could be like that.” The other one started giving me a lecture on how wrong it is. (context: I went to a catholic school). So now that I just woke up, I’m all sorts of fucked up.